In conjunction of the 60th Anniversary of Diplomatic Relationship between Malaysia and Thailand. 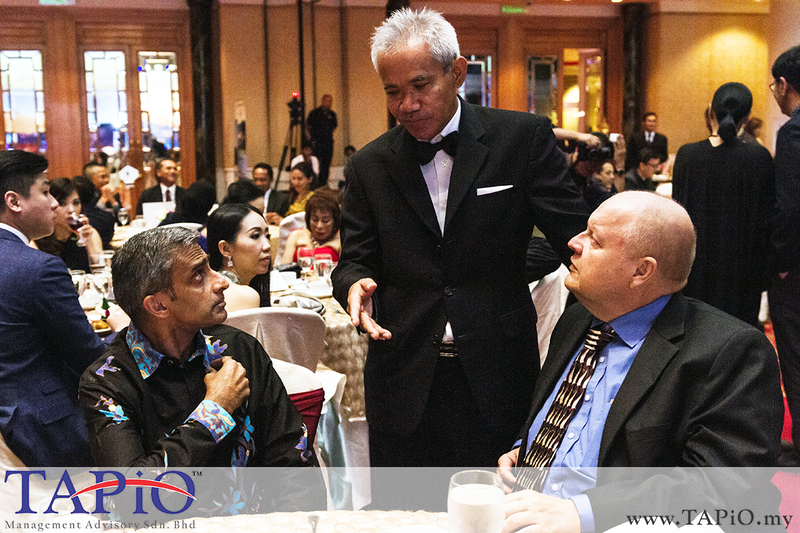 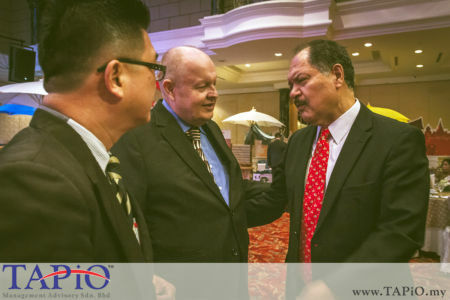 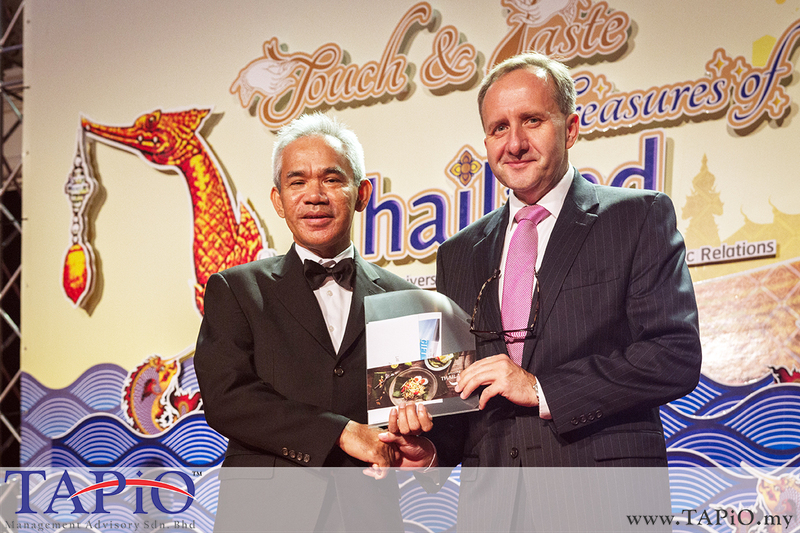 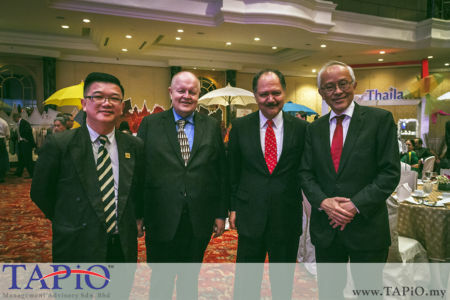 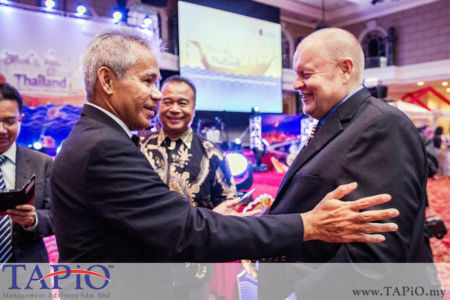 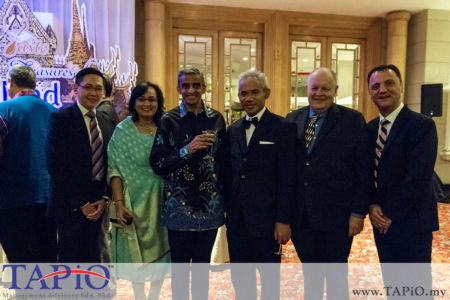 TAPiO Management Advisory's Chairman Mr. Bernhard Schutte and the team has been invited by His Excellency Mr. Damrong Kraikruan, Ambassador of Thailand to Malaysia for the Gala Dinner. 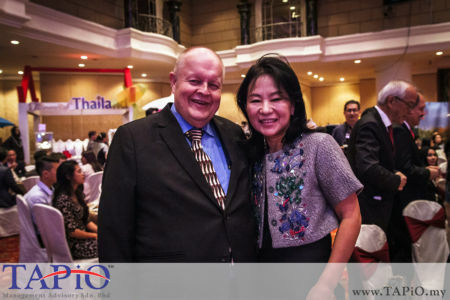 The Tourism Thailand Malaysia (Tourism Authority of Thailand) announced that the theme for Thailand Tourism Year 2018 will be "Amazing Thailand"
Madam Suwanna Phukphat, Wife of the Ambassador of Thailand to Malaysia, receives a bouquet for her splendid work at the fashion show. 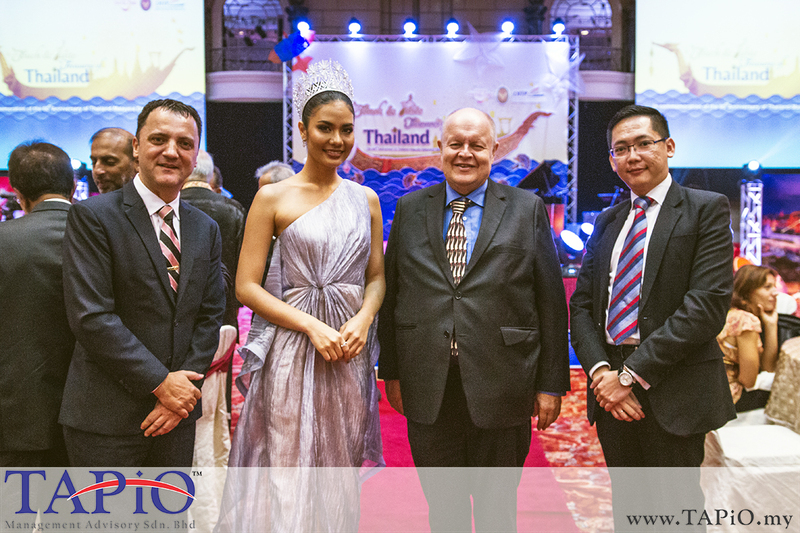 Ms. Namtan Chalita, Miss Universe Thailand 2016 is informing the audience about tourism in Thailand. 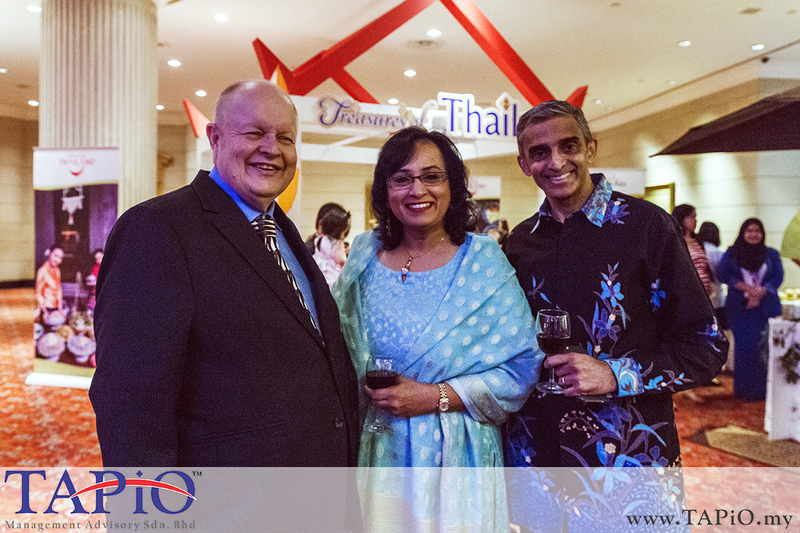 - His Excellency Mr. Vanu Gopala Menon, High Commissioner of The Republic of Singapore & Madam Jayanthi Menon. 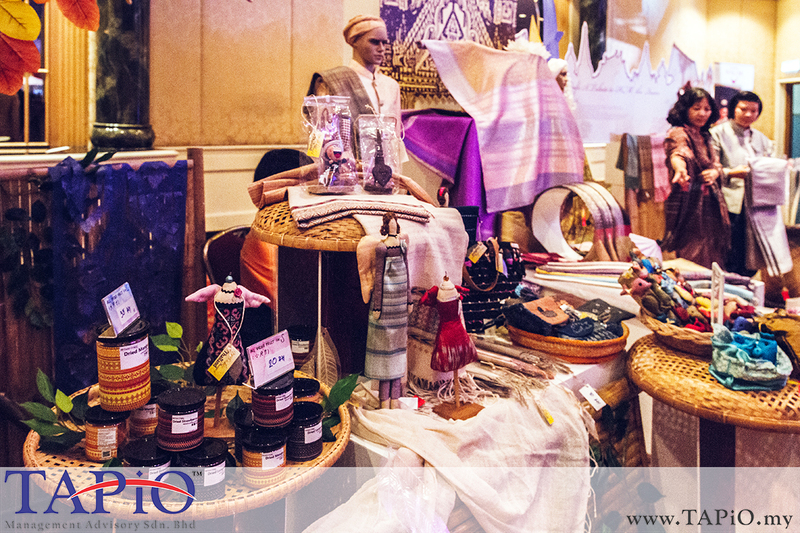 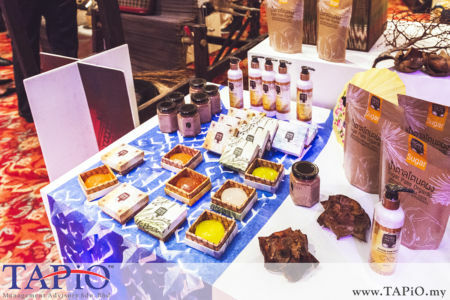 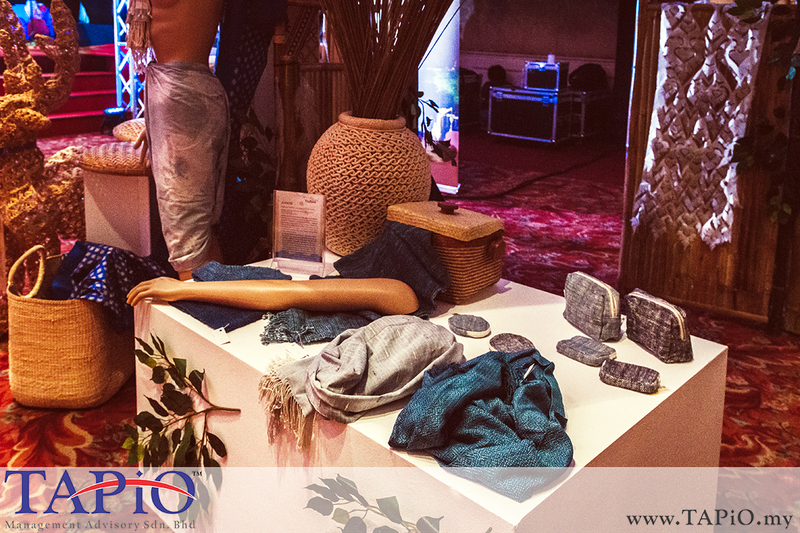 Traditional products from Thailand are popular not only in Thailand, but globally. 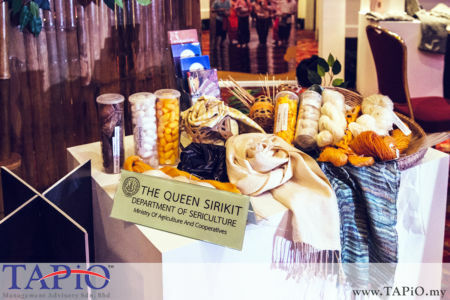 Thailand Traditional Products showing Silks and Fabric of highest quality. 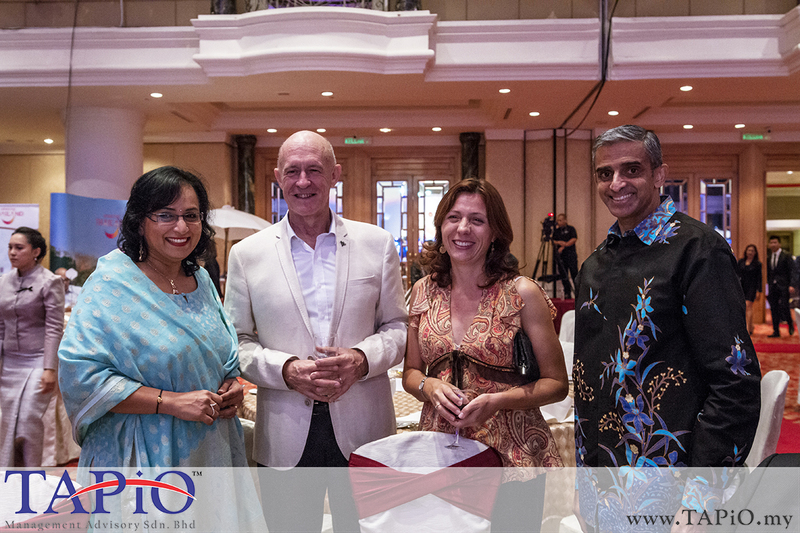 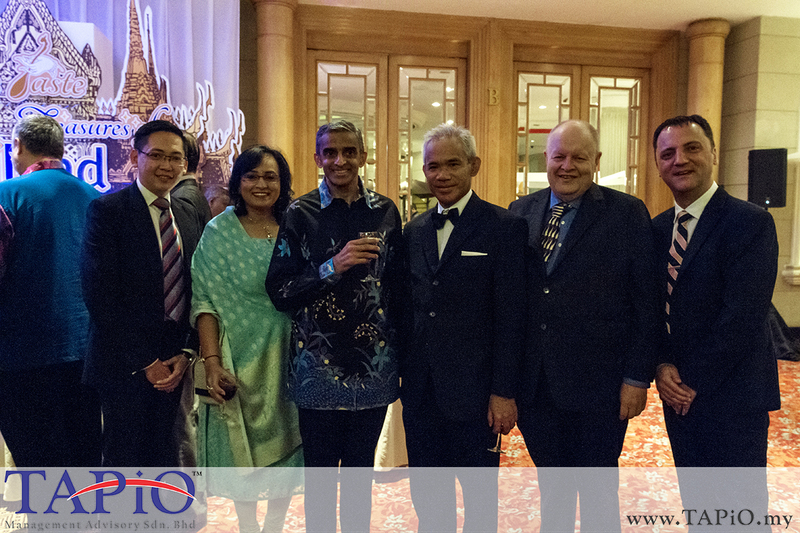 - His Excellency Mr. Vanu Gopala Menon, High Commissioner of The Republic of Singapore, and Madam Jayanthi Menon.